For other people named Sarah Thompson, see Sarah Thompson (disambiguation). Sarah Thompson (left) with Katrina Kaif at the Premiere of Raajneeti, 2010. Sarah Thompson Kane (born October 25, 1979) is an American actress  best known for her role as Eve in Angel (2003–2004) and Rose in 7th Heaven (2005–2006). 7th Heaven is an American television drama series created and produced by Brenda Hampton that centers on the Camden family and their lives in the fictional town of Glenoak, California. The series debuted on August 26, 1996, on The WB, where it aired for ten seasons. Following the shutdown of The WB and its merger with UPN to form The CW, the series aired on the new network on September 25, 2006, for its eleventh and final season, airing its final episode on May 13, 2007. 7th Heaven was the last series to be produced by Spelling Television before it was shut down and became an in-name-only unit of CBS Television Studios. Thompson Kane has also appeared in several films, including Cruel Intentions 2 , Malibu's Most Wanted , Dear Me , Brutal, Broken Windows , Hansie , A Christmas Proposal, Taking Chance , Brooklyn's Finest , Break , The Pink Conspiracy and Raajneeti , a Bollywood movie. Cruel Intentions 2 is the 2000 American comedy-drama film. It was written and directed by Roger Kumble and starring Robin Dunne, Sarah Thompson, Keri Lynn Pratt and Amy Adams. It is a prequel to Cruel Intentions (1999) and was released direct-to-video on March 13, 2001. Both films are based on Les Liaisons dangereuses by Choderlos de Laclos. Malibu's Most Wanted is a 2003 American comedy film written by and starring Jamie Kennedy and co-starring Taye Diggs, Anthony Anderson, Blair Underwood, Regina Hall, Damien Dante Wayans, Ryan O'Neal, and Snoop Dogg. The film is written by the creators of MADtv, Fax Bahr and Adam Small, who also serve as producers. The character of "B-Rad" originally appeared in Jamie Kennedy's hidden-camera show The Jamie Kennedy Experiment, but started in his stand-up routine when he was starting out. Hansie is a feature film, produced in South Africa by Global Creative Studios and directed by Regardt van den Bergh. It is based on the true story of cricketer Hansie Cronje. The movie was released on 24 September 2008 in South African cinemas and the Collectors Edition DVD on 24 November 2008. "How do you start over once you have betrayed a nation's trust?" The news of Hansie Cronjé's involvement with Indian bookmakers and his resulting public confession rocked the international sporting community. An unprecedented rise to glory was followed by the most horrific fall. A tarnished hero fueled the nation's fury. Hansie, once South African cricket's golden boy, had been stripped of everything he had held dear: a glorious captaincy, the support of his former team mates and the respect of a nation. In its place the stinging rejection of cricket administrators and the humiliating dissection of his life on international television made his retreat into depression inevitable. Hansie's bravest moment in finally confessing his involvement with bookies had suddenly become a tightening noose around his neck. Thompson has been married to Brad Kane since July 28, 2007. Bradley Caleb Kane is an American singer, actor, producer and writer. 1997 Soul Man Bobbi Episodes: "The Lost Sheep Squadron", "Public Embarrassment and Todd's First Sermon"
1999 The Sopranos Lucinda Episode: "College"
2000 Madigan Men Daria Episode: "Pilot"
2000 FreakyLinks Delaney Park Episode: "Subject: Three Thirteen"
2001 Going to California Christina Episode: "Rules of the Road"
2002 Touched by an Angel Kristie Episode: "Two Sides to Every Angel"
2003 The Division Madeleine Bainbridge Episode: "Body Double"
2007 Without a Trace Lilly Dolan Episode: "Crash and Burn"
2008 House Nikki Episode: "Last Resort"
Sarah Kane was an English playwright who is known for her plays that deal with themes of redemptive love, sexual desire, pain, torture—both physical and psychological—and death. They are characterised by a poetic intensity, pared-down language, exploration of theatrical form and, in her earlier work, the use of extreme and violent stage action. Kane herself, as well as scholars of her work, such as Graham Saunders, identify some of her inspirations as expressionist theatre and Jacobean tragedy. The critic Aleks Sierz has seen her work as part of what he has termed In-Yer-Face theatre, a form of drama which broke away from the conventions of naturalist theatre. Kane's published work consists of five plays, one short film (Skin), and two newspaper articles for The Guardian. 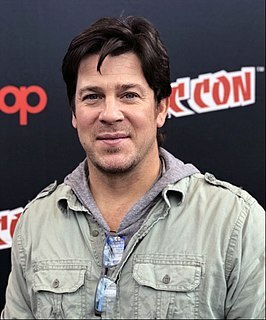 Christian Kane is an American actor and singer-songwriter. He is known for his roles in the television shows Angel, Leverage, The Librarians and Into the West, and the movies Just Married, Taxi, and Secondhand Lions. Glenn Thomas Jacobs is an American professional wrestler, actor, businessman, and politician. A Republican, he is the Mayor of Knox County, Tennessee. Robert Kane was an American comic book writer and artist who co-created, with Bill Finger, the DC Comics character Batman. He was inducted into the comic book industry's Jack Kirby Hall of Fame in 1994 and into the Will Eisner Comic Book Hall of Fame in 1996. Charles Foster Kane is a fictional character and the subject of Orson Welles' 1941 film Citizen Kane. The character is widely believed to be based on publishing tycoon William Randolph Hearst. Welles played Kane, with Buddy Swan playing Kane as a child. Welles also produced, co-wrote and directed the film. 4.48 Psychosis is a play by British playwright Sarah Kane. It was her last work, first staged at the Royal Court's Jerwood Theatre Upstairs on 23 June 2000, directed by James Macdonald, nearly one and a half years after Kane's death on 20 February 1999. The play has no explicit characters or stage directions; this continues the style of her previous production entitled Crave. Stage productions of the play vary greatly, therefore, with between one and several actors in performance; the original production featured three actors. According to Kane's friend and fellow-playwright David Greig, the title of the play derives from the time, 4:48 a.m., when Kane, in her depressed state, often woke. Evan Dorkin is an American comics artist and cartoonist. His best known works are the comic books Milk and Cheese and Dork. His comics often poke fun at fandom, even while making it clear that Dorkin is a fan himself. Blasted is the first play by the British author Sarah Kane. It was first performed in 1995 at the Royal Court Theatre Upstairs in London. This performance was highly controversial and the play was fiercely attacked by most newspaper critics, many of whom regarded it as a rather immature attempt to shock the audience. However, critics have subsequently reassessed it; for example The Guardian's Michael Billington, who savaged the play in his first review, later recanted in the wake of Kane's suicide: "I got it wrong, as I keep saying. She was a major talent. Apparently, Harold Pinter said at her memorial service that she was a poet, and I think that's dead right." After seeing a revival of the play, an Evening Standard reviewer Annie Ferguson wrote "How shrill and silly the 1995 hullabaloo and hysteria seemed last night when Blasted returned to the Royal Court. It is, and always was, a play with a fine, moral purpose." "The Girl Next Door" is the seventh episode of the first season of the American mystery television series Veronica Mars. 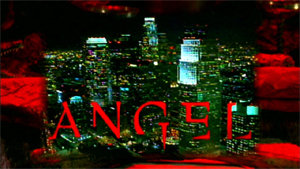 Co-written by Jed Seidel and Diane Ruggiero and directed by Nick Marck, the episode premiered on UPN on November 9, 2004. William Channing Gibbs was the tenth Governor of Rhode Island from 1821 to 1824.
Who's Nailin' Paylin? is an American satirical pornographic film released on November 4, 2008, that satirizes former U.S. vice-presidential candidate Sarah Palin. The film was directed by Jerome Tanner and stars Lisa Ann. Besides being a parody of Sarah Palin, the film includes spoofs of Hillary Clinton, Condoleezza Rice, Todd Palin and Bill O'Reilly. Josh Thompson is an American country music artist. He has released two studio albums: Way Out Here for Columbia Records Nashville, and Turn It Up for Show Dog-Universal Music, and has charted six singles on Hot Country Songs and/or Country Airplay, the highest-peaking being "Way Out Here" at No. 15. Thompson has also written songs for Jason Aldean, Blake Shelton, Justin Moore, Brad Paisley, Brett Young, and Darius Rucker. Heshima Salim Thompson is a British actor and singer. Harry Edward Kane is an English professional footballer who plays as a striker for Premier League club Tottenham Hotspur and captains the England national team. Many panel members commissioned by The Guardian considered him to be one of the best players in the world in 2018. The Grange consists of three attached, grade II listed buildings in Monmouth, Monmouthshire, Wales. It is in the historic St James Street neighbourhood, within the medieval town walls. The Grange was originally built by Captain Charles Philipps at the site of a former farm house. It was the residence of the Kane family and, later, the Windsor family. The buildings also served as a preparatory school, one of the schools of the Haberdashers' Company, until 2009. In 2011, the buildings were converted into a boarding house for students of Monmouth School, another Haberdashers' Company school. Kane Allen Brown is an American country music singer and songwriter who first came to the attention of the public through social media. He released his first EP, titled Closer, in June 2015. A new single, "Used to Love You Sober", was released in October 2015. After Brown signed with RCA Nashville in early 2016, the actual song was included on his EP Chapter 1, which was released in March 2016. He released his first full-length album, the self-titled Kane Brown, on December 2, 2016. The single "What Ifs" was released from this album and, in October 2017, Brown became the first artist to have simultaneous number ones on all five main Billboard's country charts. Brown released his second album, Experiment, in November 2018. ↑ "American Beauty". Indian Express . 16 May 2010. Archived from the original on October 5, 2012. Retrieved 24 June 2010.